Messenger Angel by Jack Shalatain - Click on image. I offer Psychic Readings as a therapy for loving guidance in your life. My card readings act as a link to Spirit and your loved ones: Angel Card readings; Psychic Tarot and Energy Cards; Mediumship cards. 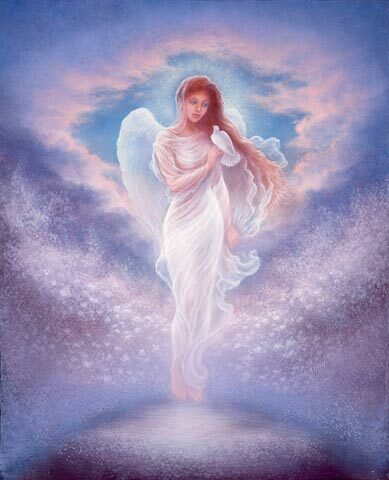 We are grateful to the artist Jack Shalatain for his kind permission to show images of some of his wonderful paintings of angels on this site. Visit Jack's own website http://www.shalatain.co.uk/ to view more of his ethereal and mythical art.